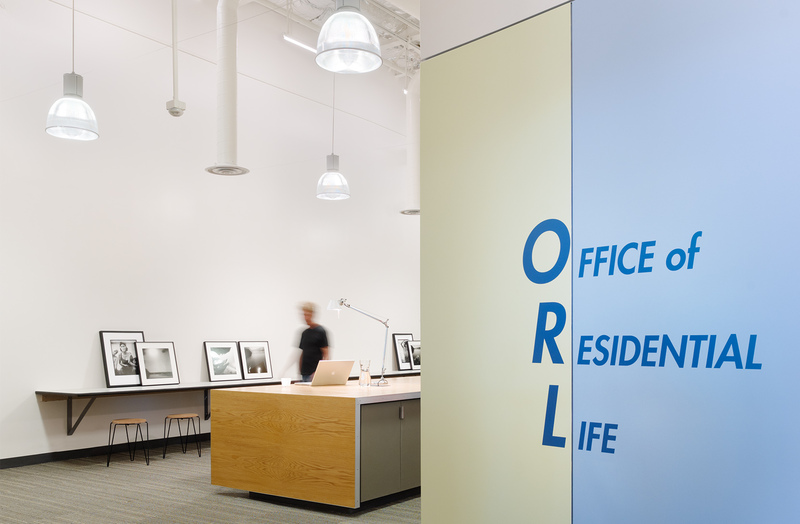 The Office of Residential Life at UCLA has 45 full-time staff and 300 student staff who provide services to students living in on-campus housing. 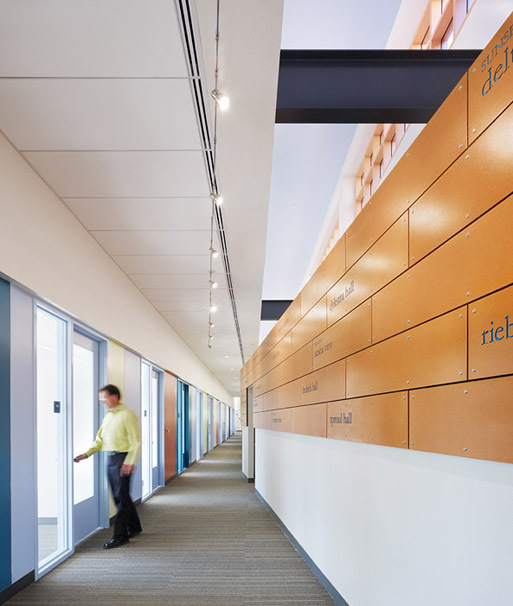 This project locates their offices within two floors of the Ricardo Legorreta-designed Bradley Building. 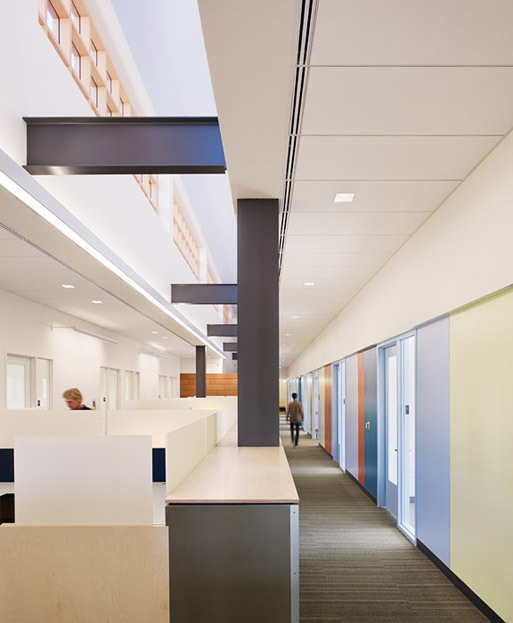 Tenant improvements include the conversion of conferencing spaces into permanent office space, the design of a tailored open-office system, and an upgraded, energy efficient lighting system. 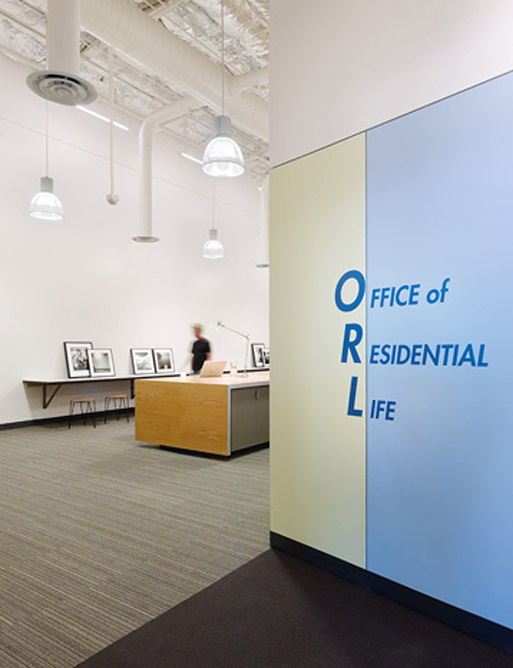 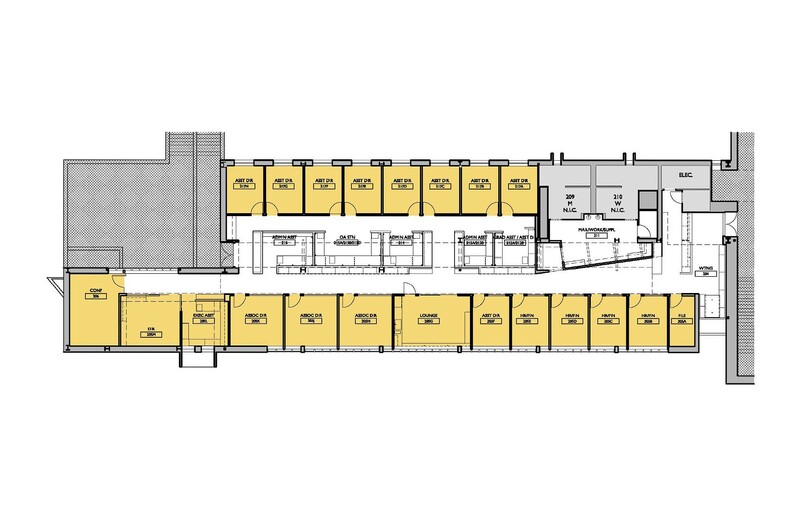 The design seeks to give identity to the ORL spaces expressive of their student-service orientation, while respecting the unique character of the notable building. 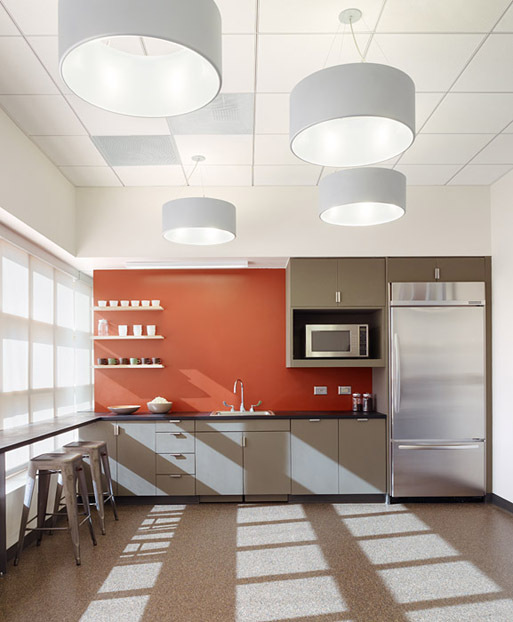 Sustainable design practices are incorporated throughout the project, which was designed to meet UCLA’s LEED-equivalent green building guidelines.